Dr. Jean Layton-Gluten Free Doctor: Butter, Salt, Sugar, Flours- What I use. Butter, Salt, Sugar, Flours- What I use. to make the best gluten free treats, I need to choose the best ingredients. These are the products I use. Not one of these companies supports my work financially or with product. Butter is best when it is unsalted, this allows you to control the amount and the kind of salt flavor you add to baked goods. Yes, you taste the difference between supermarket butter, organic butter, cultured butter, high fat premium butter, winter butter and springtime butter. Given the limitations of my local sources, I choose either Organic Valley or Kerrygold. 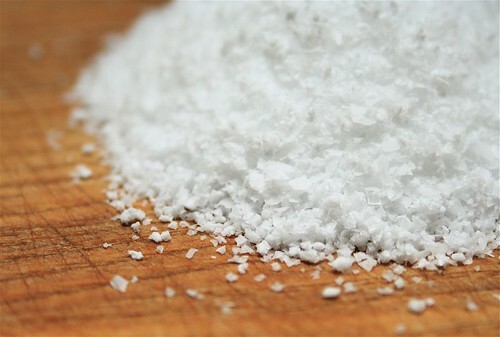 All salt in batters is more easily distributed if it is table salt rather than the larger crystals of kosher salt. Never use Iodized salt in baking, you will get an off flavor in your final product. I reserve kosher salt for cooking. Topping salts or finishing salts add just the right nuance of flavor. There are so many kinds to choose from but I keep 3 on hand for my confectionary fun. I have Hawaiian Pink Salt, Murray River Salt and Smoked Applewood salt. This black salt is perfect for finishing cooking projects. Sugars in my home includes so many varieties. Each one has its uses for a particular result. Basic sugars: Organic granulated (typically I buy this from Costco) and use this for everything except when the infinitesimally small amount of molasses alters the final product negatively. Those products tend to be candies. White sugar C&H only. C&H is a 100% cane sugar, no genetically modified beet sugar here. Brown Sugar- same as white. I prefer organic from Wholesome and if cost is important, I use C&H. Confectioners sugar- I use Wholesome organic since it uses tapioca starch as the fluff instead of corn starch. So no GMO's and no corn exposures. The only time I use C&H confectioners is when the frosting must be bright white. All organic sugar has a slight tan cast since there is a trace of molasses in the sugar. I use organic corn syrup, organic molasses, local raw honey and maple syrup (B grade). For so many reasons, I choose Bob's Red Mill flours for all my baking. The gluten free flours all come from a dedicated facility, no possibility of cross contamination. I would prefer that more of their choices were organic, but given a choice between possible gluten exposure and possible pesticide/herbicide residue, I'll hope for low residues. They are fairly local to me, just a drive down I-5. When you need to ship heavy items, that makes quite a difference. They have supported celiac groups and education for decades. I'm a big fan for any company that takes the lead on keeping myself and my patients safe. If you would love to know what tools I consider essential, read this post, 10 HandTools every Kitchen should have.